These are the valentines I made for my kids this year. I used the same idea for both, but differently for each card. I started with a plain heart die from Papertrey. I cut one out in black, one in white. 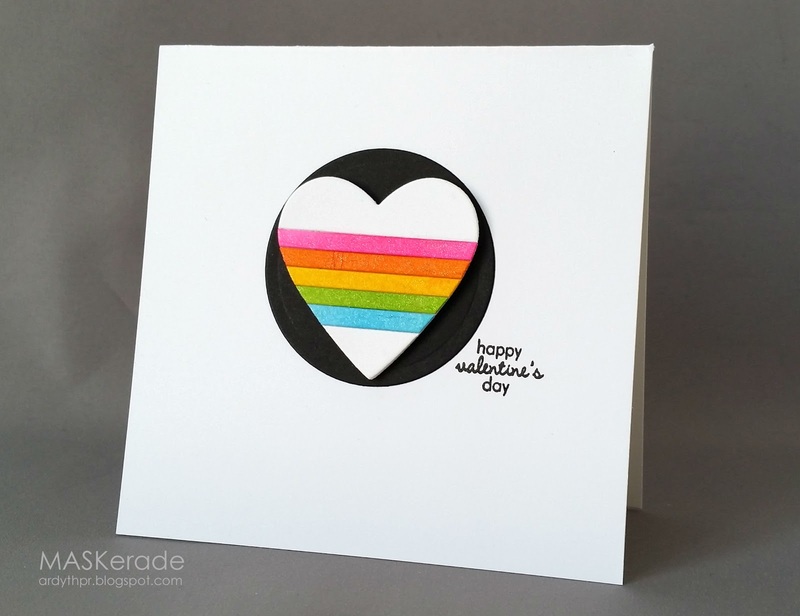 Then I used this rainbow circle die from Papertrey to cut the heart into strips. For Kate's card, I coloured the strips with copics and WoS, put the heart back together and then popped it up over a black circle for some contrast. I used a little PTI sentiment, cut out of its heart. 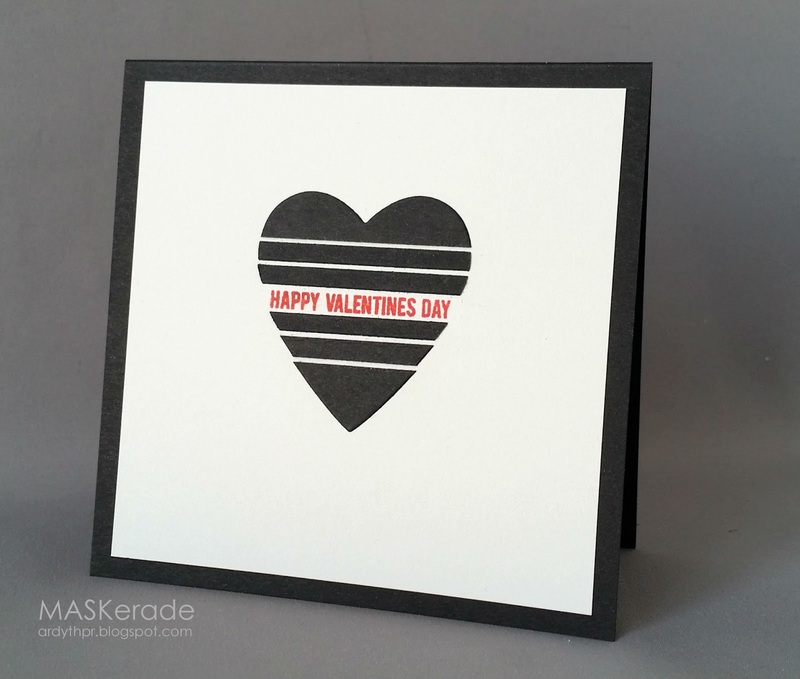 For Struan's card, I glued the pieces down onto Soft Stone cardstock, leaving a tiny bit of space between the strips (and thus elongating the heart). I left out one strip in the middle - the perfect size for this Sweet Stamp Shoppe sentiment, stamped in Classic Cherry ink. Love how you used that rainbow die on the heart. What a great idea. Two great cards your kids will love. The rainbow die is so Ardyth. Love them both...I am sure both your children will love them. You are SOOOOOO clever! My first reaction was..."How did Ardyth get the strips so even?" Using the rainbow die is beyond genius! These cards are awesome. I'm sure glad you share cuz my poor old brain would take a month of Sundays to think of something like this! Hey Ardyth!! Where do you get your ideas from. They are always amazing. I love both cards. Nicely done.